Bradley and his wife-to-be Marisa were born and raised in the western suburbs of Chicago. 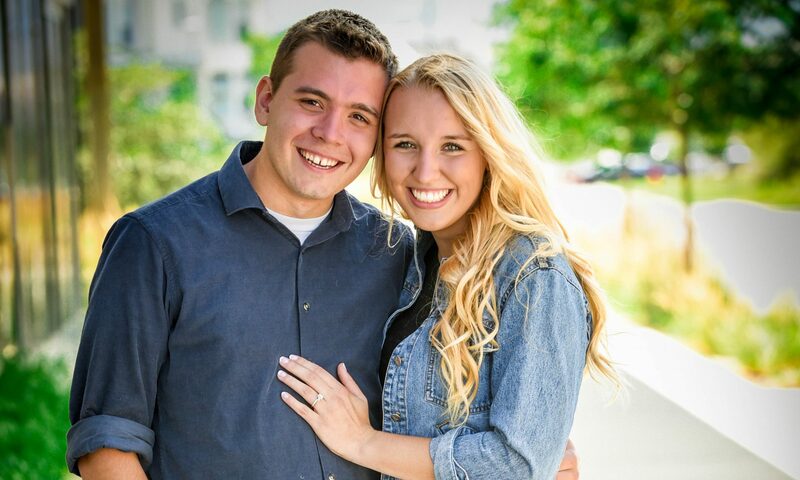 They met in High School and both grew up attending The Compass Church in Naperville, IL. Bradley graduated from Moody Bible Institute in 2017 with a degree in church planting, and has spent the last year at The Mission Church (a church plant) in South Jordan, Utah. Marisa attended Olivet Nazarene University for two years and is currently employed as a dental assistant in a suburb of Chicago. Because Utah is the least reached state in the United States. There are less than 2.3% Evangelical Christians, and over 70% Mormons in the state of Utah marking it the least reached state in the US. Utah desperately needs more Christians and churches, and therefore we are committed to doing Utah-specific ministry for the next several years. To reach Mormons, to build up Christianity, and to plant churches. We are committed to Mormon outreach and evangelism, as the majority of Utah is Mormon. We are committed to bolstering Christianity and helping establish a much needed Christian presence in Utah. We are invested in church planting, including having our eye toward planting in the future. By praying for us, and by supporting us financially. Our mission is to glorify God more than anything by being committed to Mormon outreach and evangelism (as the majority of Utah is Mormon), by being committed to bolstering Christianity and helping establish a much needed Christian presence in Utah, and by being invested in church planting—including having our eye toward planting in the future.